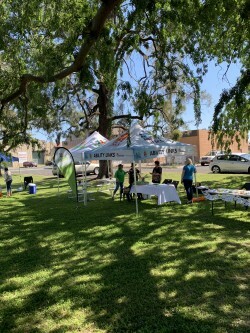 On Wednesday 24th October at 10am, to celebrate Children’s Week, an abundance of preschoolers and school aged children attended Teddy Bears Picnic at Victoria Park in Inverell. 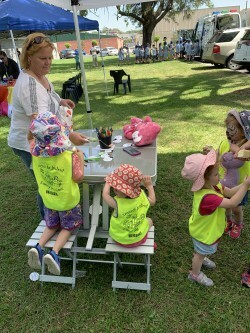 The local preschoolers from Inverell District Family Service, KCL and Nurture One attended the events in their high visibility vest which created a colourful appearance. 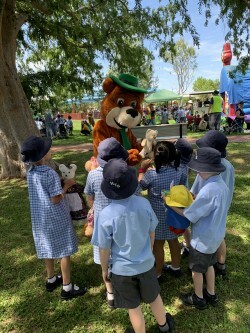 The years one and two classes from Holy Trinity attended the event, looking smart in their school uniforms and being accompanied by their most loved and best dressed bears. 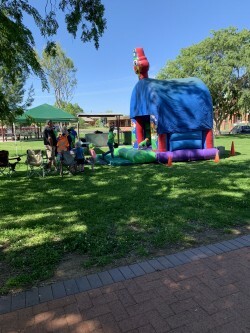 We also had Bun Bun playgroup, Armabubs and Danthonia children attended the event. 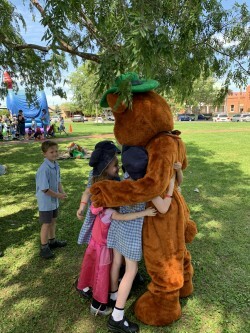 Across the green grass and activities at Victoria Park an abundance of smiles and laughter could be seen from the 300 children, teachers, carers and parents that came to have a picnic with their teddies. 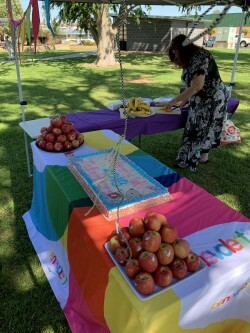 Morning tea was full of fruit, tiny teddies and a special celebratory cake. 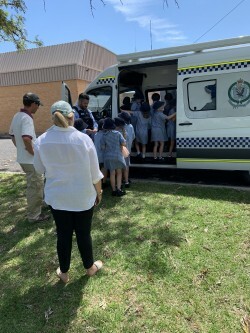 Once the children were content, and their bellies full, they enjoyed the activities of face painting, colouring in, jumping castle, the NSW Police promotion bus, teddy bear hospital and a very special visit from all-time favourites Yogi and Boo Boo Bear. 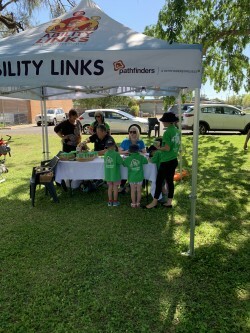 The children happily ate, played and laughed throughout the day with many children talking to the organisers saying they had fun – even though they had to wait in line for the face painting due to its popularity. 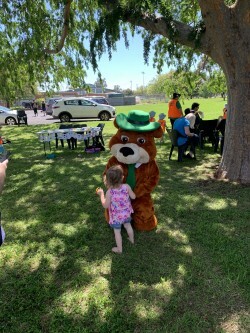 Teddy Bears Picnic will be back next year to once again celebrate Children’s Week with the Inverell community. Additional happenings are already being brainstormed to make next year’s picnic better than ever!